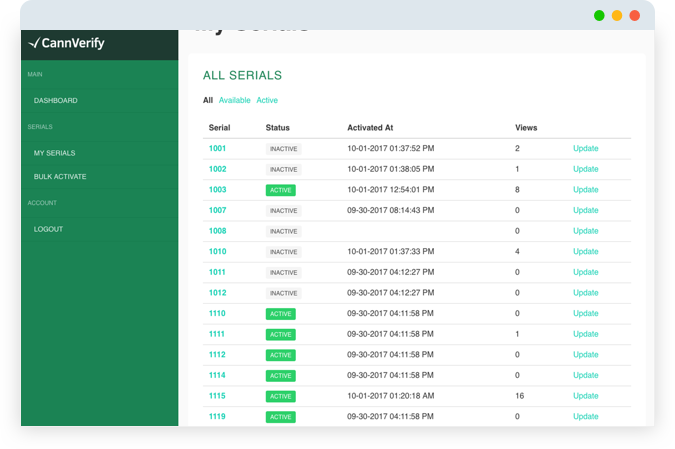 CannVerify protects your products with a unique serial number linked to our blockchain based product verification system. We'll provide you with a tamper proof, security seal with a unique serial number for each of your products. You can then register your products in our system with optional product details to track and ensure authenticity of your product. 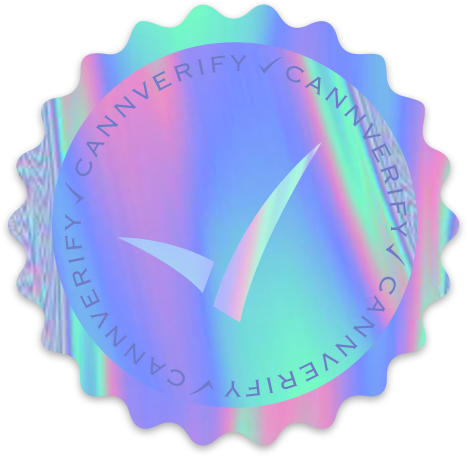 Lookup any one of our CannVerify serial numbers to verify whether a product is authentic. Each registered serial number can provide details for that specific number including product name, quantity, product description & product photos. Sign up to get your business started with CannVerify.